Fermilab directors receive formal recognition for their pioneering science, an important groundbreaking takes place, and a new education program takes off in October. What else in Fermilab’s history happened in October? 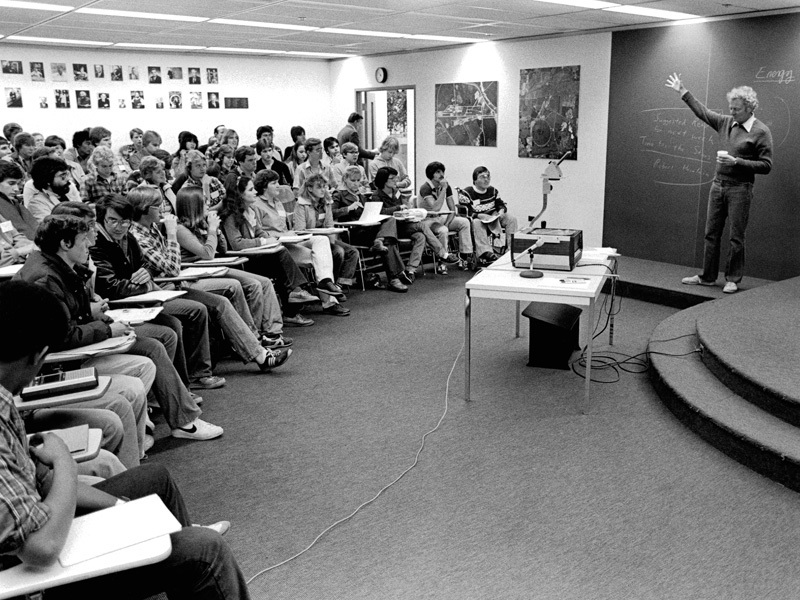 Leon Lederman teaching a Saturday Morning Physics course in 1980. New lab director Leon Lederman was passionate about science education. He started Saturday Morning Physics, a program in which Fermilab scientists teach a series of physics classes to local high school students. The first course was held in October 1980. Robert R. Wilson holds a worm he has found while breaking ground for the Main Ring. 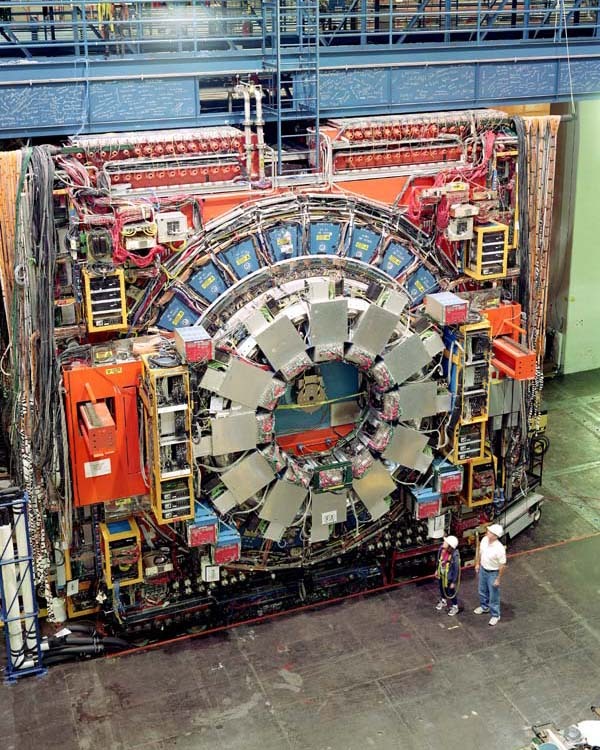 The Main Ring was the final and largest component of the lab’s accelerator system. This underground ring, which was about four miles around, used magnets to accelerate protons to very high speeds. These protons, and other beams derived from them, were then used in the four experimental areas. The Oct. 3, 1969, groundbreaking marked the beginning of the construction of the tunnel that would hold the ring. 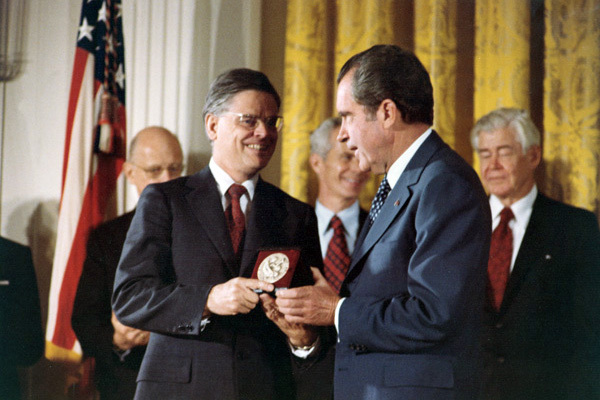 Robert Wilson received the National Medal of Science from President Richard Nixon on Oct. 10, 1973. CDF was Fermilab’s first collider detector. The Tevatron proton-antiproton collider was dedicated on Oct. 11, 1985. 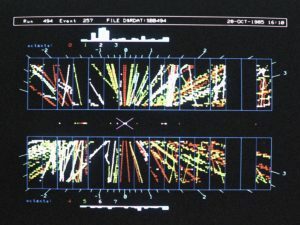 This event display shows a proton-antiproton collision in October 1985. CDF, the Collider Detector at Fermilab, was designed to study the proton-antiproton collisions created by the Tevatron. The design of CDF began in January 1978 with the formation of the Colliding Detector Facility, headed by Alvin Tollestrup. 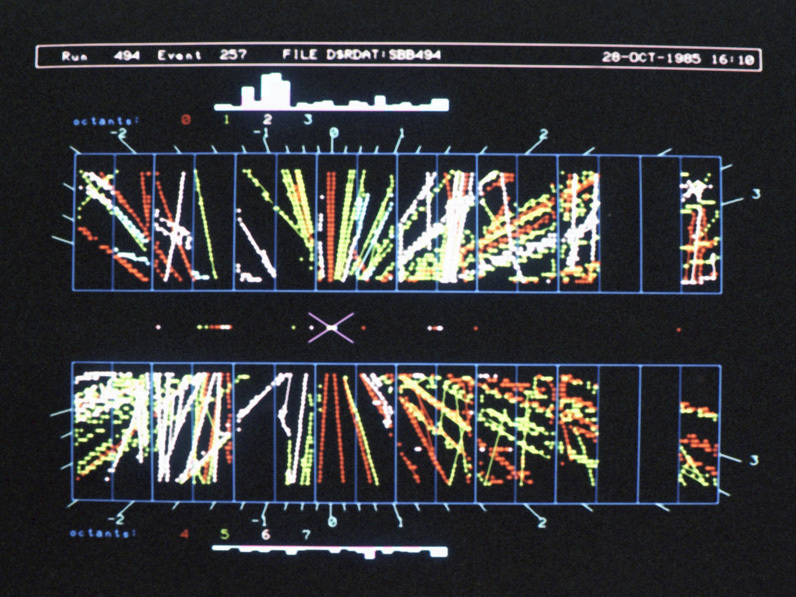 Construction of CDF began on July 1, 1982, and on Oct. 13, 1985, it detected its first particle collisions. 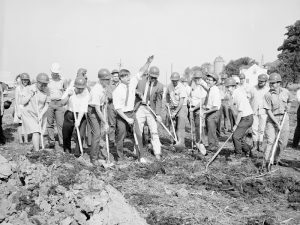 CDF, an international collaboration between institutions in the United States, Japan, and Italy, would become one of Fermilab’s flagship experiments and at its height would have more than 600 participants. 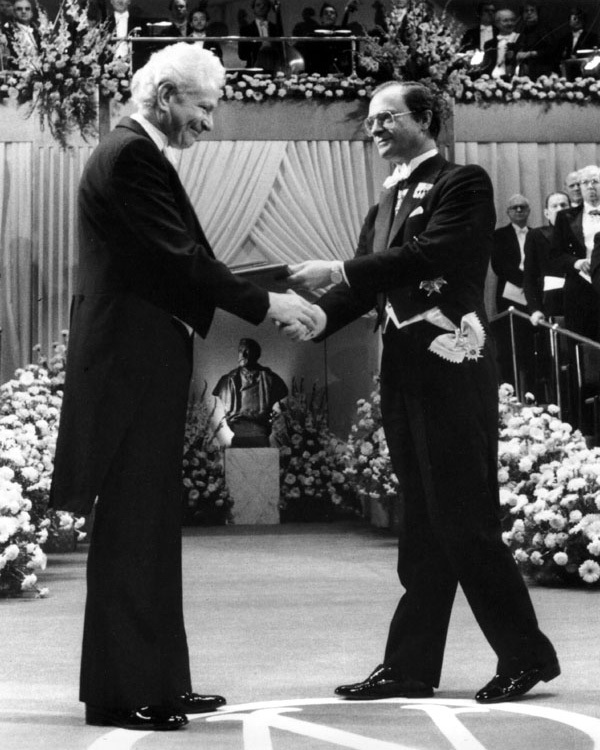 Leon Lederman receives the Nobel Prize in physics from King Carl XVI Gustaf, Dec. 10, 1988. On the morning of Oct. 19, 1988, lab director Leon Lederman received a call informing him that he and his colleagues Melvin Schwartz and Jack Steinberger had won the 1988 Nobel Prize in physics for their 1962 discovery of the muon neutrino at the Brookhaven National Laboratory AGS accelerator. 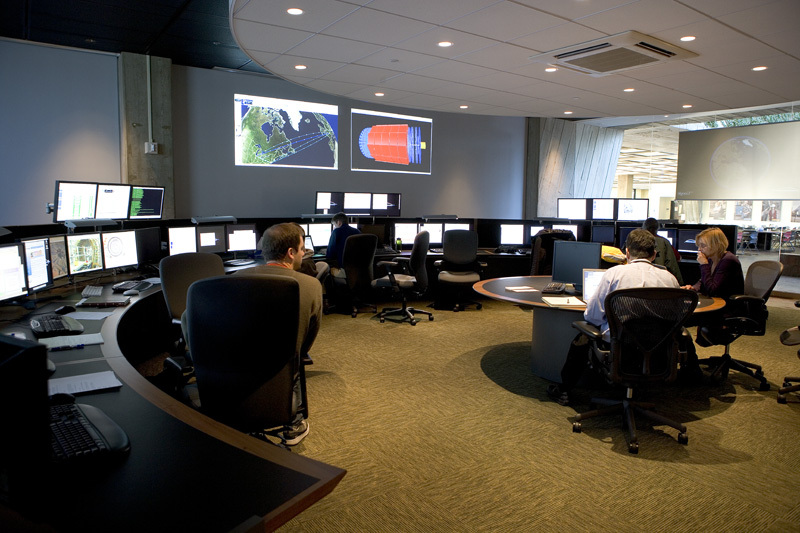 The LHC Remote Operations Center was dedicated in 2007. The LHC Remote Operations Center in Fermilab’s Wilson Hall was dedicated on Oct. 22, 2007, further cementing the partnership between Fermilab and CERN, Europe’s particle physics laboratory. About 600 U.S. scientists work on CERN’s CMS experiment, and the center allows them to work on the experiment remotely.